If you’re considering a lease from Bob Moore INFINITI in Oklahoma City but have questions on the process, you’ve come to the right place. Your preferred INFINITI dealer in Oklahoma City has prepared a list of our most frequently asked questions in regard to leasing. Which Is Really Better: A Car Loan Or A Car Lease? This depends on your short-term and long-term goals with this car. Do you prefer to put equity toward a new car and pay a higher monthly payment, or do you prefer to only pay the monthly payment towards the car’s depreciation? When you lease a new INFINITI, you have access to great car lease deals that can get you behind the wheel for less than if you were purchasing the vehicle. In fact, you may be able to drive a more expensive model for less than your purchase price. You can also return your lease after your car lease term ends or chose to purchase it. Many of our customers like the flexibility of the “try before you buy” approach; ask your salesperson about all of your options before you make your decision. You can also stop by and test-drive your favorite new INFINITI today before you consider it for purchase or lease. How Much Does Credit Really Affect My Car Lease Options? Your credit directly translates into your purchasing power when it comes to leasing or financing a car. Essentially, your current credit and credit history give financial institutions an idea of how risky or how safe it would be to give you a car loan. The better your credit, the less risky it is for them to extend credit and the more likely for you get a higher loan amount with a lower interest rate over your preferred loan terms. This, in return, means a lower monthly payment and less interest paid over time. Regardless of your credit, having a down payment or equity in form of a trade-in will help offset the costs of leasing or financing your next new INFINITI. Our finance center takes pride in securing the very best lease terms, interest rates, and monthly payments available to you regardless of your credit history. Contact your preferred car dealership in Oklahoma City today, and we will be more than happy to walk you through all of your options personally. What Happens When I Go Over My Mileage Limit With A Car Lease? It’s important that you pay close attention to your car lease agreement when it comes to mileage limits and wear and tear restrictions to avoid fees at the end of your lease term. These clauses are put into place to ensure that the vehicle that you are leasing is returned in sellable condition. With that said, if you do go over the limit, you would simply have to pay your agreed upon penalty which is generally about 25 cents per mile. What Do I Do At The End Of My Car Lease Term? Before you sign a car lease agreement, be aware of fees associated with any type of termination. You may also be able to trade in your lease for another new lease depending on your agreement. Please speak to a financial advisor for more information. In terms of an extension, this may be possible for a short amount of time; however, it is not a long-term solution. If you’re not sure whether to purchase your car or to turn it in for a new vehicle, it’s always best to speak to a representative, and we’ll be more than happy to show you all of your options. If you still have questions about leasing your next INFINITI, you can always contact us for additional guidance. Our finance department is staffed by some of the top financial experts in Oklahoma City and the surrounding areas. You can learn more about leasing and financing options, take advantage of our payment calculator, and more through our website. Whether it’s a new INFINITI or luxury Certified Pre-Owned car, truck or SUV, stop by your preferred INFINITI dealer in Oklahoma today to see all the models we have to offer. 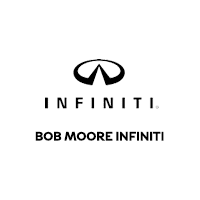 Bob Moore INFINITI is a proud member of the Bob Moore Auto Group. Visit us today and see why more drivers from Oklahoma City, Edmond, and Norman have made us their preferred Oklahoma City car dealership.